Jackie is a homegrown Austinite, playing club with the Warriors before they merged to form Lonestar Soccer Club. Jackie also spent her youth career playing on U.S. Soccer Youth teams. She attended University of Tennessee and received her Bachelor’s in Education. While playing at the collegiate level, Jackie received dual-citizenship which allowed her to become a member on the Women's Mexican National Team. This gave her opportunities to participate in a World Cup and subsequently sign with Portland Thorns in the NWSL. 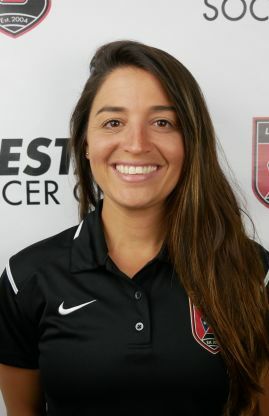 She is passionate about growing the women’s game through our younger generations. Mexico U-20 Women's National Team.